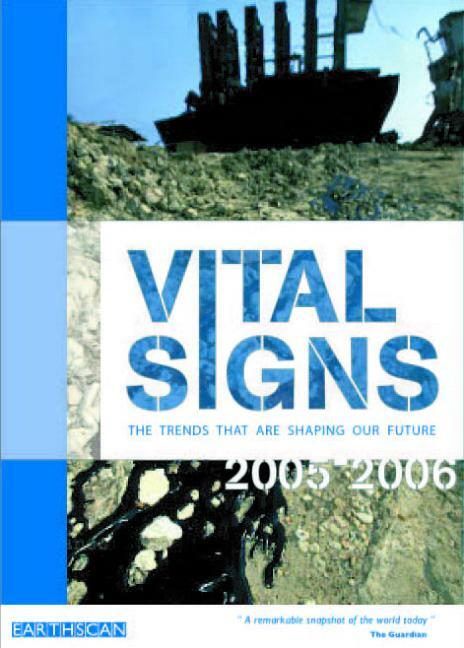 'VITAL SIGNS does for the environment what stock market indicators do for the City. But it says more about the future of our world than the FTSE ever can ' BBC Wildlife Magazine 'VITAL SIGNS is a sharply focused snapshot of the world� Ideal for dipping into � it makes fascinating reading ' New Agriculturalist 'The scope of the book is vast ... the presentation is clean and seamless ' Humanitarian Affairs Review 'An enlightening insight into the relationship between the environment and human activity ' Green Futures VITAL SIGNS 2005�2006 provides up-to-the-minute information on global warming, population growth, military spending, HIV/AIDS, economic equity, the trade in drugs and a whole range of other environmental, developmental, social, political and economic issues. By distilling 25 'vital signs' of our times from thousands of governmental, industrial and scientific sources, this book allows reader s to track key indicators that show our progress in issues that too often escape the attention of the news media, world leader s and economic experts . Each theme is presented in both text and two colour graphics, providing a thorough, well-documented and very accessible over view. Written by the staff of the award-winning Worldwatch Institute including Chris Flavin, Gary Gardner, Janet Sawin, Brian Halwiel and Michael Renner.